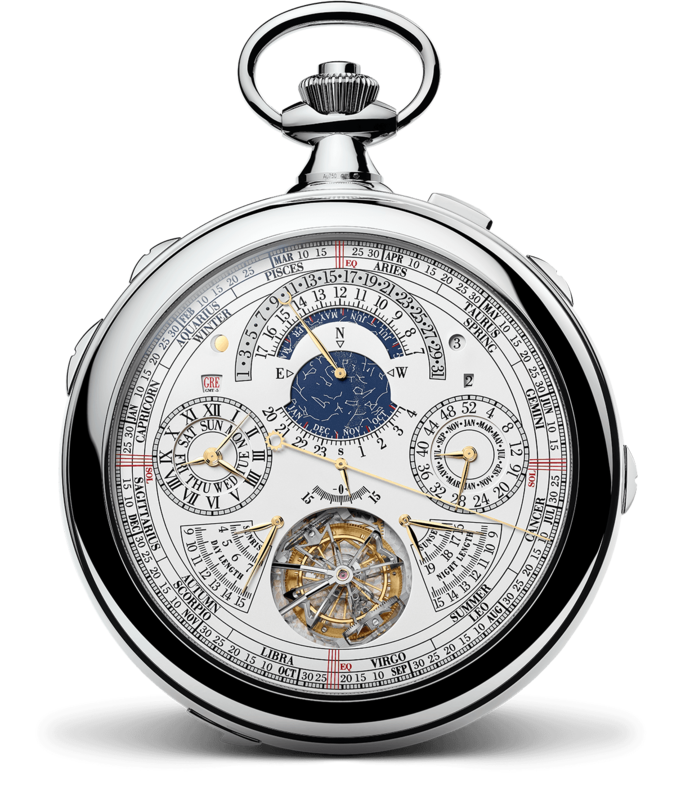 Swiss watchmaker Vacheron Constantin is claiming the title of the most complicated mechanical watch ever made with its Reference 57260. 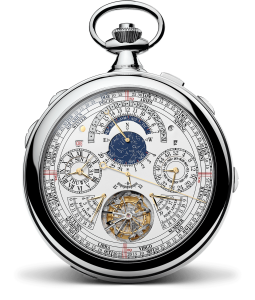 Boasting 57 complications (the previous record holder had 33) and a wide array of functions, the Reference 57260 contains over 2,800 components, each one hand-decorated by one Master Watchmaker using traditional techniques. The watch is also Hallmark of Geneva certified, which means it was assembled, timed, and cased in Geneva and has passed rigorous criteria regarding production, workmanship, and precision. The most obvious thing about the 57206 is that it’s no lightweight. The case is made of white gold, measuring 98 mm (3.8 in) in diameter and 50.55 mm (1.99 in) thick with a sculpted crown and discrete pushbuttons on the sides. There are full dials front and back, which are in turn divided into a complex area of subdials, retrogrades, indicators, and windows. Inside the 57260 is a 242 jewel Caliber 3750 movement that is 36 mm (1.4 in) thick, operates at a frequency of 2.5 Hz and has a 60-hour power reserve. 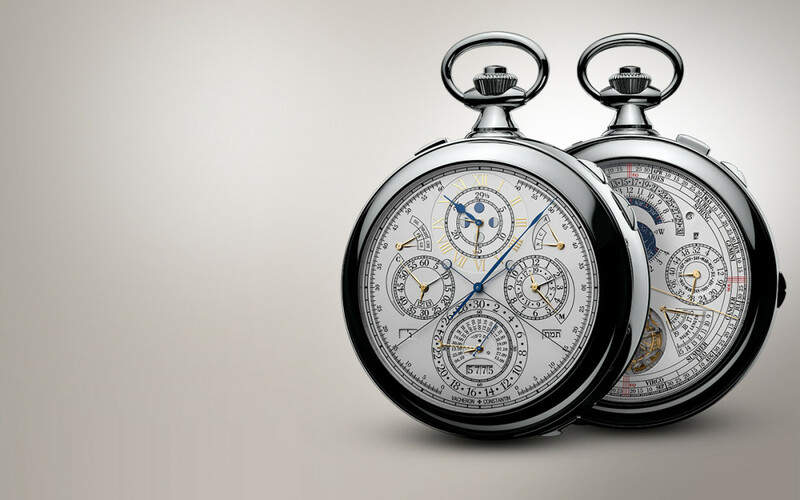 The movements produce the company’s Maltese cross trademark and the inscribed Vacheron Constantin moto «Faire mieux si possible ce qui est toujours possible» («Do better if possible and that is always possible») sits prominently on one of the plates.